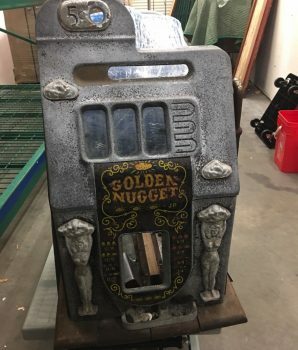 This is an ORIGINAL antique vintage Mills golden nugget slot machine case, castings, handle, hub, pump, coin shoot, coin denomination button, upper and lower locking latches and much more. 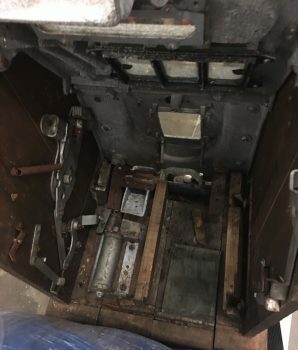 Circa 1940s casting. 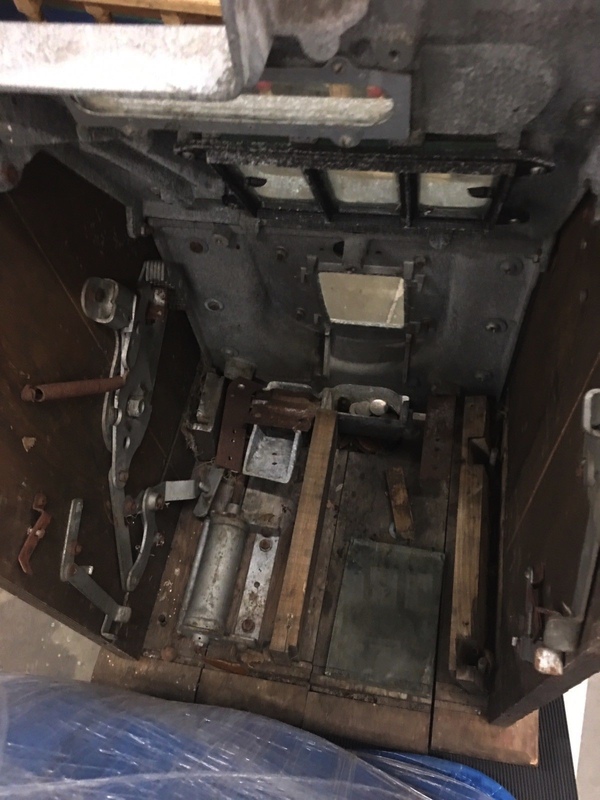 See photos for better detail and description. 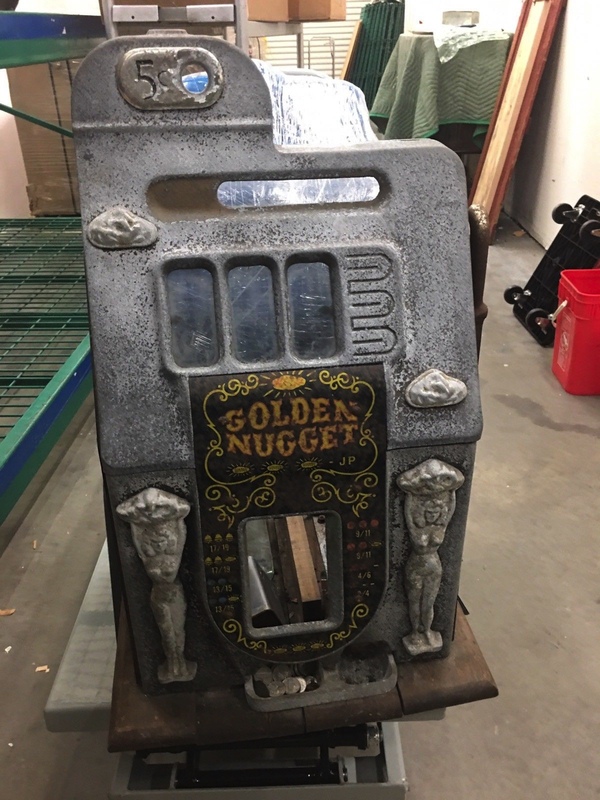 “Due to laws regulating the sale of antique slot machines, will not sell to individuals in the states of Alabama, Connecticut, Hawaii, Nebraska, South Carolina, and Tennessee.